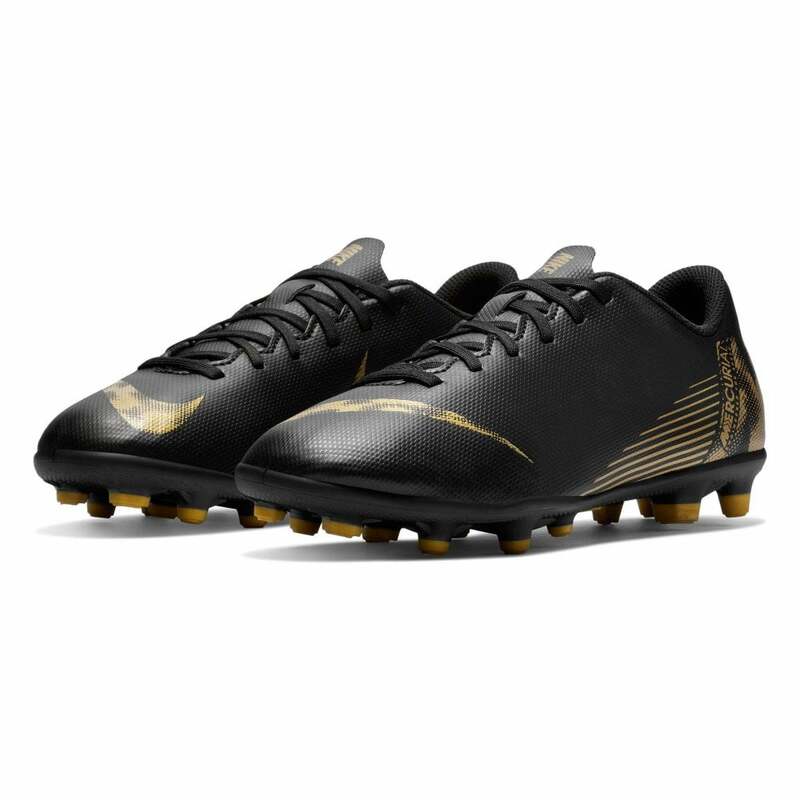 These lace-up Nike Vapor 12 Club Multi-Ground Football Boots have a synthetic upper and are black in colour with gold detail. They have a padded textile lining. Nike branding appears on the tongue, sides & front in gold. They have a moulded stud sole for excellent grip on both natural and artificial surfaces.